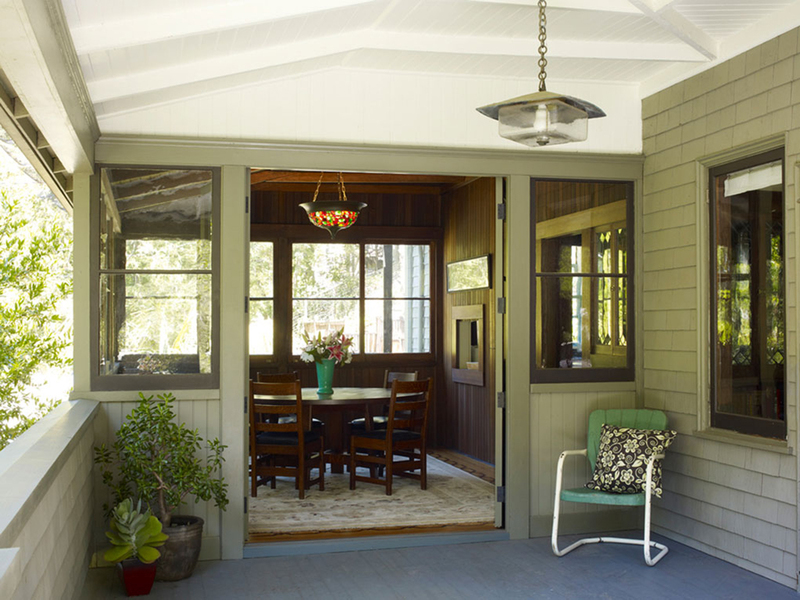 An addition with kitchen remodel is the culmination of this Craftsman home’s 4-phase revival—all focused on increasing the interior’s indoor-outdoor connection and natural light sources. 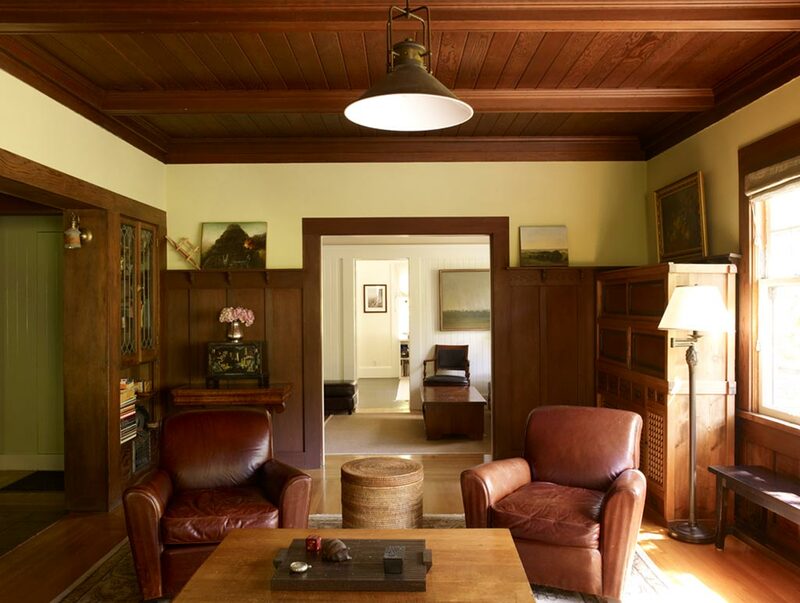 This early 20th century Marin home in the Craftsman vernacular has been thoughtfully rejuvenated to recover its original character from an unfortunate 1960’s remodel. Pacing the work in four phases, efforts focused on “addition by subtraction” —removing 1960’s shed roofs and era siding, and introducing massing more appropriate to the style of the original house. 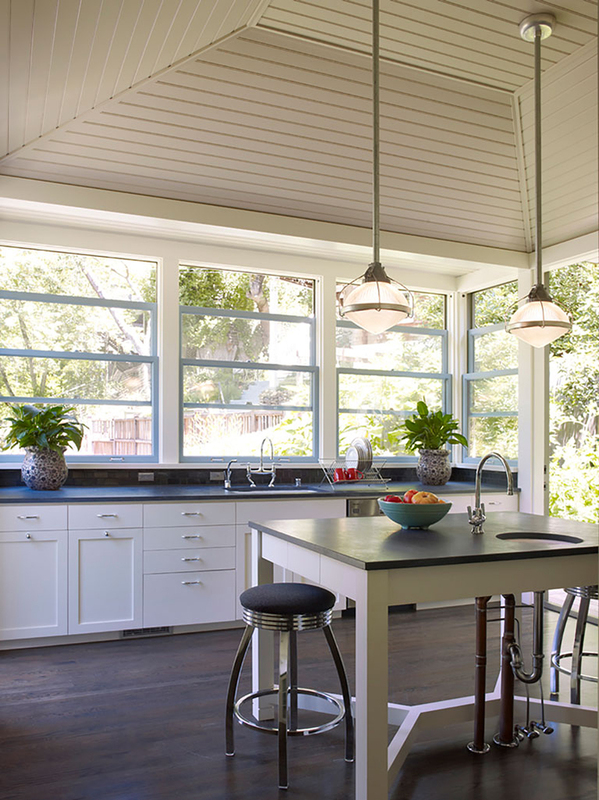 The project’s final phase was a kitchen remodel and addition, embodying the overall goal of maximizing natural light in the interior spaces, as well as the home’s indoor-outdoor connection to its wooded site. 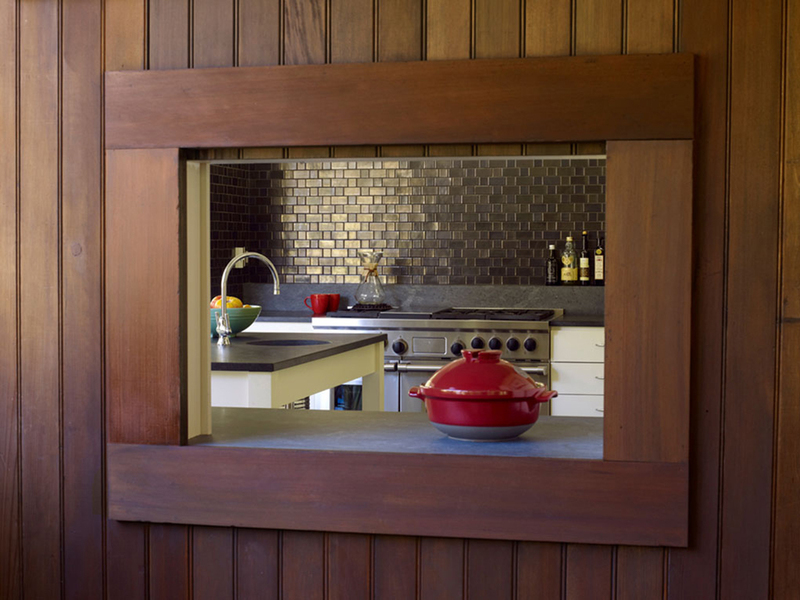 Materials and finishes that might have been found in the original house were used in a modern way, such as wood paneling, bead board and fluted glass. Andrew was an employee of Regan Bice Architects during the first three phases of this project, in the role of Project Manager. 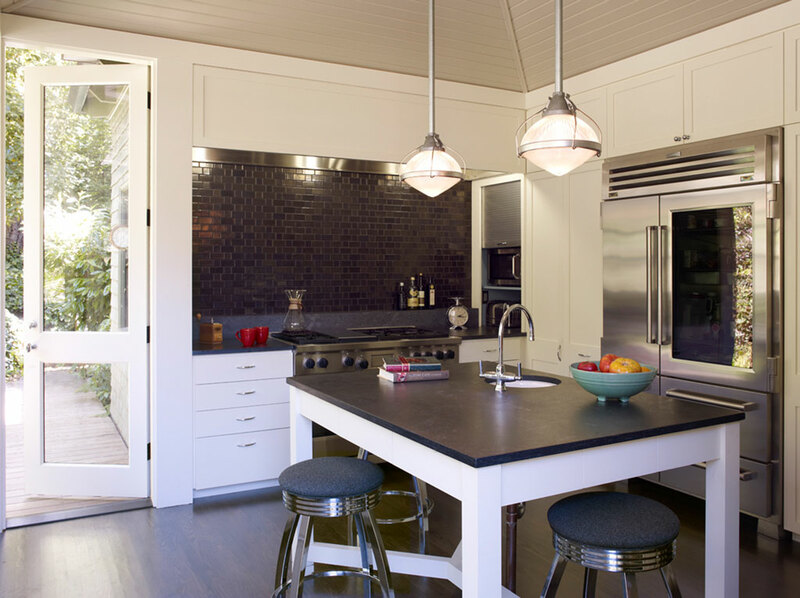 By the time the homeowner was ready to start phase 4, the kitchen addition, Andrew had started Fischer Architecture, so she hired us for the project. 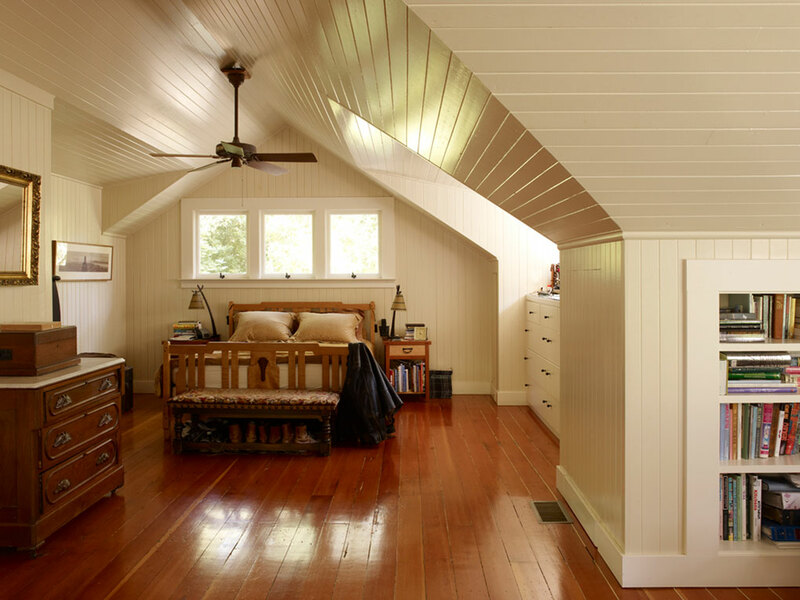 She has since sold this house and moved to Stinson Beach, where she has again hired us for a top-to-bottom renovation of an old beach cottage.